Some of the gentlemen at Kensington Grange used to be avid Fishermen, but mobility became a challenge and they thought a fishing excursion was all but a memory. 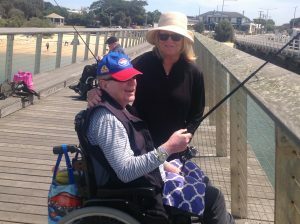 A conversation at their men’s group about fly fishing and hooks with Lifestyle Coordinator Liz Toffoli lead to their dreams becoming a reality with Liz organizing an outing for six excited men to fish from Barwon Pier. The weather was absolutely perfect for the day – mid twenties and a slight breeze. Once the men were set up with rods to cast over the pier, everyone was quiet, a calm and peace descended like no other. Each man was just enjoying the moment. 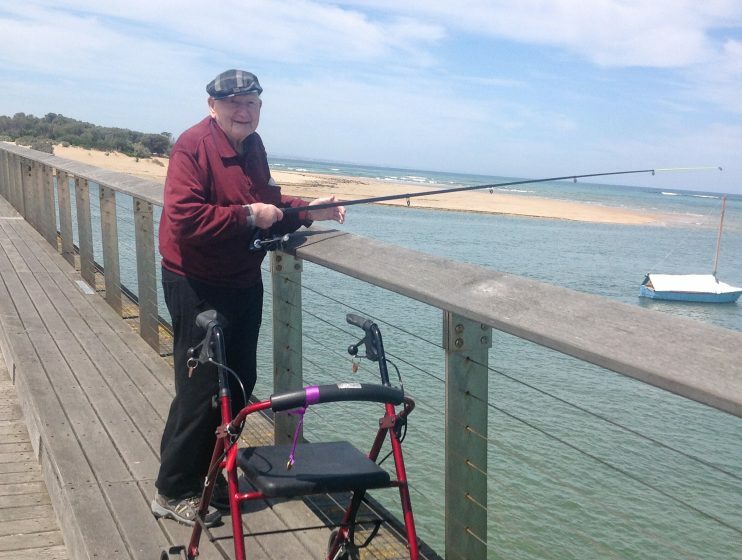 For one resident it was his first time ever fishing, but for others it was reigniting pleasure in a past interest. The camaraderie and positivity that emanated from the men spoke volumes. 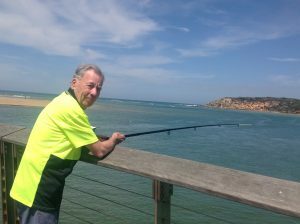 Fishing not only provided a sensory experience of using fine motor skills but importantly it promoted social conversations and helped the men connect to the community by enabling them to participate in a outing that most of us take for granted. It fostered conversations with the men reminiscing about old times fishing with family and friends. The men may not have caught a fish this time, but the program was such a success there are plans underway to take the men fishing every 2 months to a different location and next time incorporating a picnic lunch as well. We think the smiles on the men’s faces say it all, bringing them closer to nature, joining in a physical but enjoyable activity and creating memories and laughter to reflect on later. If you would like to take a tour of one of our Aged Care Facilities, please call us on (03) 9559 0400 or contact us here.